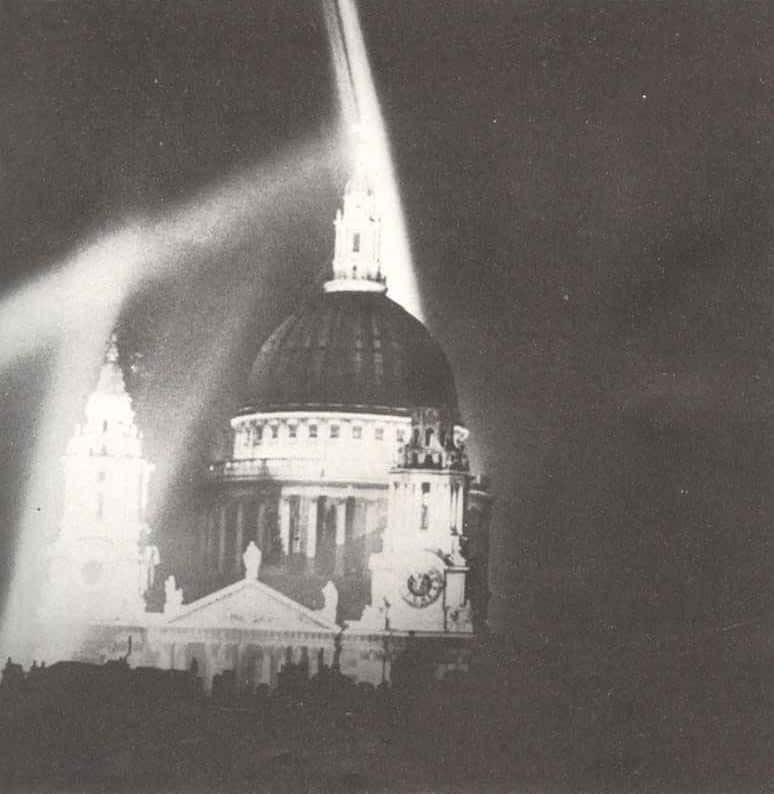 The West Front of St Paul’s Cathedral in the City of London, lit by searchlights during the ‘Blitz’. RAF raid Berlin. Night raids on London by 240 aircraft.